Ravka is a country threatened by the Shadow Fold, a phenomenon that has created a wasteland full of the monstrous flesh eating birds, the volcra. The Shadow Fold is the barrier between Ravka and the ports vital for trade. Crossing the Shadow Fold is perilous and requires the presence of the kingdom’s magical elite, the Grisha. If the Shadow Fold could be combated, Ravka would be safe. In Alina, a lonely orphan, it seems such a power resides and Alina finds herself the pawn in a power game. Whom can she trust? It is always interesting to see how authors of fantasy take the conventional ingredients and weave them into a new story that can make the reader believe in their world and want to turn the pages. In this, the first volume of the Grisha trilogy, Barduga manages to do just that. She takes a Russian setting for her country, drawing on Russian mythology and traditional tales to colour her narrative: the character, Baghra, for example, owes much to Baba Yaga. In doing this she creates very specific images, particularly through costume, architecture and terminlogy that provide a solidity and sense of reality for her creation. Her characters, though again not particularly original in their roles, are attractive and lively. 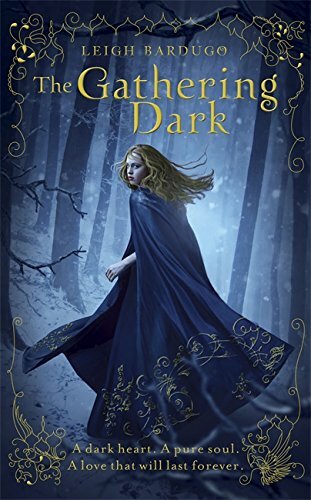 Alina is a satisfying heroine while the Darkling promises to be a worthy opponent of the light. There is always a need for new fantasies; this trilogy will be an excellent addition, and should be recommended to fans of writers like Trudy Canovan and Isobel Carmody. I am looking forward to the next instalment.